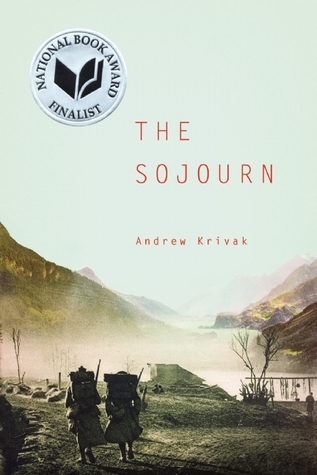 The Sojourn is the story of Jozef Vinich, who was uprooted from a 19th-century mining town in Colorado by a family tragedy and returns with his father to his father’s village of Pastvina in rural Austria-Hungary, (which is now part of the Czech Republic) to take up an impoverished shepherd’s life. Josef’s father then marries a woman with two young sons. she turns out to be cruel, treats her own sons well, but starves the young baby of her husband. The husband comes home from the high pastures and berates the woman, and takes his boy with him into the mountains for the months he is sheepherding. They live the hardscrabble existence of shepherds, barely able to put food on the table, in the cold and brutal climate of the region. Josef and his father live for part of the year in a cabin in the Carpathian Mountains and ply their trade of husbandry. At the age of ten, Josef is introduced to his father’s Krag rifle, and is instructed in the art of hiding and hunting their prey. A distant cousin, Marian Pes–nicknamed Zlee–who was one year older than Josef, is sent to live with them. Zlee has an instinct for shepherding, and together they form a brotherly bond of love and respect. Josef’s sleep is haunted by dreams of loss and he gradually becomes distant from his father. World War One comes. In 1916, when Zlee turns eighteen, both boys go to the conscription office to join up. Josef alters the age on his identity card so that he can go, too. During artillery training, they are recognized for their skill of aiming and shooting, and are sent to train as snipers, or “sharpshooters,” which in German is called Scharfschützen. , surviving a perilous trek across the frozen Italian Alps and capture by a victorious enemy.The novel is set in a time when Czechs, Slovaks, Austrians, and Germans fought on the same side while divided by language, ethnicity, and social class in the most brutal war to date. It is also a poignant tale of fathers and sons, addressing the great immigration to America and the desire to live the American dream amidst the unfolding tragedy in Europe. After being in a prisoner of war camp in Sardinia, Italy, until the end of the war, his cousin/brother having been killed, he sets off on foot for his home in Austria-Hungary. When he finally arrives, he finds that his beloved father has died, and his step mother, both of her sons having also been killed in the war, was delighted to give him a letter from his father in English, which she did not speak, which expressed concern to his son that he had nothing at all to leave him. But hidden deep in the 8 page letter was information that he had hidden up in the mountains 5 ounces of gold, with directions on how to find it, and once in possession of it, to take it to Prague along with his birth certificate from the US, and get a passport and go to America, which he did. A beautifully written story of a young man’s life, written from his perspective as an old man.